Every year Reshape organized the Reshape Exhibition to present the emerging designers on the Wearable technology and Smart products. 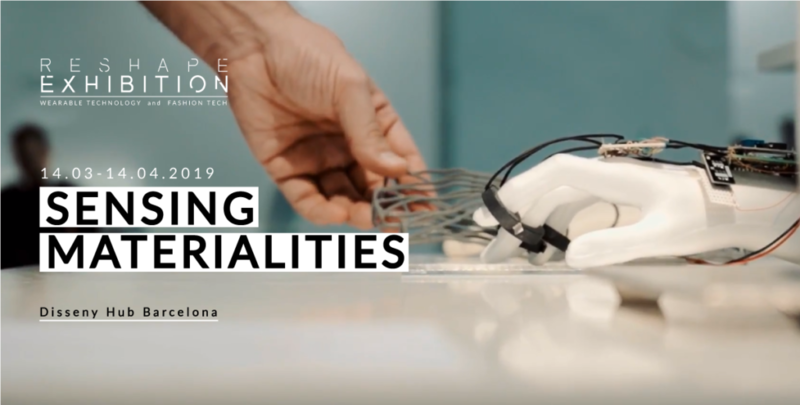 The exhibited projects coming from the Reshape platform, IED Barcelona fashion design students and Professional Fashion designers, investigate the emerging technologies focusing on the relationship between the human body and the garment. Thanks to the recent applications of smart materials, Bio compound and 3D printing, the designers merged the traditional design technique with a new digital process, proposing an alternative and sustainable solution for the fashion industry. Reshape an Exhibition is an event organized by Noumena, INDUSTRY – From Needs to Solutions, Fira de Barcelona and in collaboration with Materfad, Marcelo Vila, Appareil, Lowpoly y IED Barcelona with the support of Disseny Hub Barcelona.